After breakfast, we do the a tour with car and guide to the hill tribe villages of Cat Cat, and Sansaho village home to the H'mong hill tribes minority peoples. 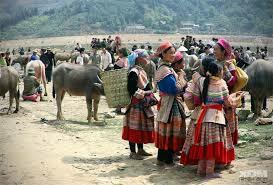 As we walk to the villages nestled in the valley below Sapa, we will meet some of the local minority people on their way to and from Sapa. Here we have the opportunity to share cultural experiences with the families that live in the area. Back to the hotel , check in, then enjoy lunch at local restaurant. This afternoon you travel by car toward the Silver Waterfall where you will be able to take a short walk to waterfall. You will then drive further to Heaven Gate, the highest peak of roads in Vietnam. From there you can see Fansipan, the highest peak of Indochina mountains as well as enjoy stunning views. The walk commences at a point nearby the waterfall, by a descent on a trail through bamboo forest, which belongs to Hoang Lien National Park. 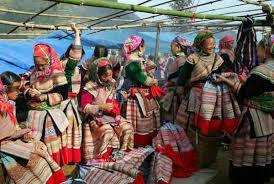 Transfer back Sapa town. Overnight at hotel. 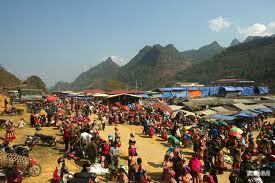 The beginning of the day on which you visit a big market filled with many different hill-tribe peoples. 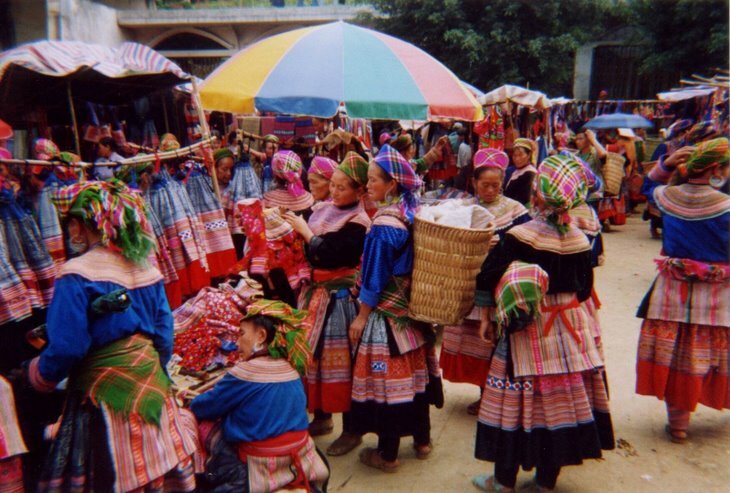 It takes you around 2 hour drive to the Bac ha market. 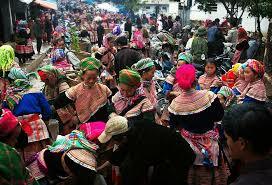 This is the most colourful market in North Vietnam. At the market, you have chance to enjoy BacHa people's simple but unique kinds of food with special wines made from rice, cassavas, corn and different sorts of fruits such as plumps, apples, peaches... talking to the minorities through the guide's interpretation. Leave the market for the H'mong King's house (King Hoang A Tuong) built by the French colonists and the Chinese in 1920. Return the town for lunch. 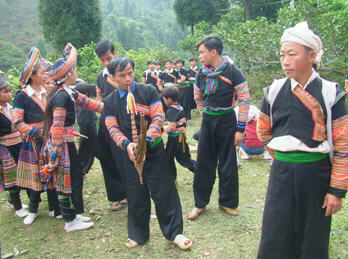 In the afternoon, spend time visiting another village (BanPho village) Say good bye to BacHa. Transfer back Lao cai for the night train back Hanoi. Overnight on train with 4 berth / cabin.